Courtesy of Coldwell Banker Residential Brokerage – Manchester, Lynda Surdam. A rare opportunity to own one of Manchester’s iconic properties on beautiful Norton’s Point. 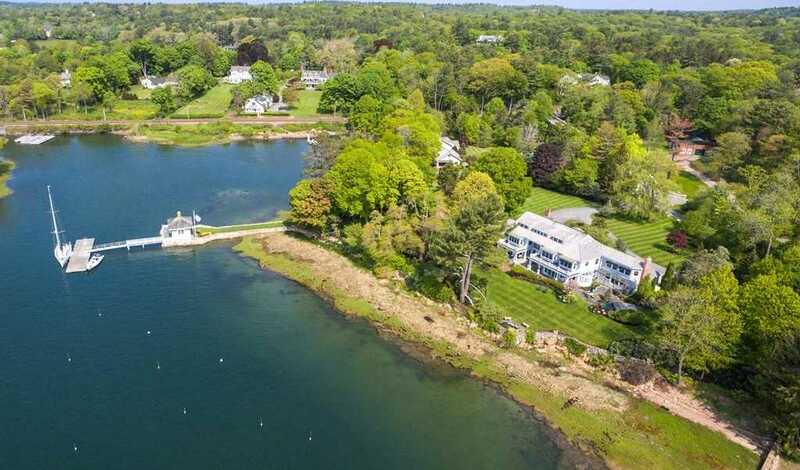 Steeped in history, this magnificent harbor front property was originally designed by Arthur Little in the Shingle style in 1883 and has been painstakingly restored with the collaboration of Public Television’s This Old House to bring this distinguished home into the 21st century. The Moorings offers water views from every room, a dramatic two story foyer with views of the Rotunda, Chef’s kitchen, an acoustically designed living room with music alcove, formal dining room, large master suite with spacious soaking tub; open, bright spacious rooms throughout. Modern and efficient utilities. A wonderful boathouse with a deep water dock that is the envy of many that gives immediate access to the harbor and outer seas. Three acres of lovely gardens, stone patios, and covered decks. This is an unparalleled property and extraordinary opportunity for the sophisticated buyer.